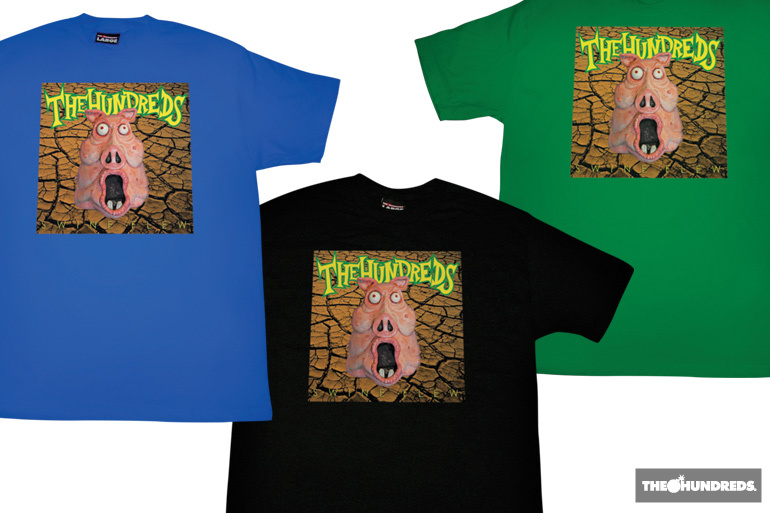 It comes as no surprise that The Hundreds has had so many collaborations over the years. We are first and foremost a storytelling brand, and working alongside different artists, musicians, and entities has always been a method of telling an intimate story that shows camaraderie and appreciation for the collaborator. 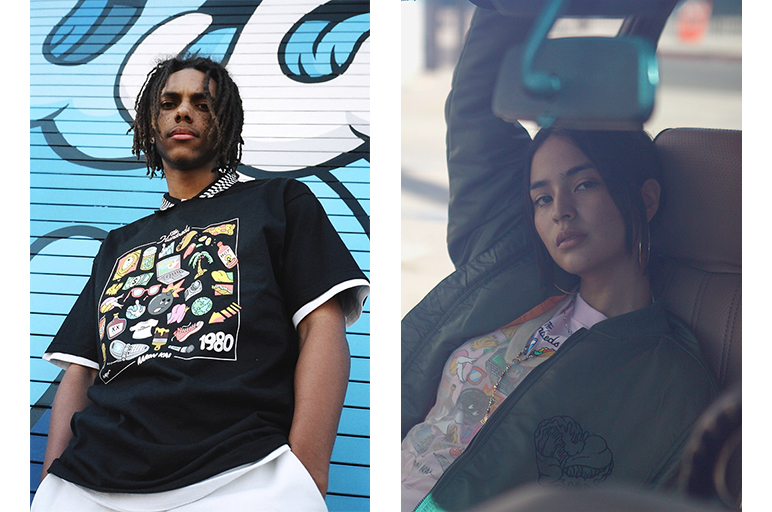 It gets personal for us—we’re invested in creating something uniquely The Hundreds but with the magic touch of collaborative vision. That’s why working with artists has always been so special; it’s a method of visual storytelling that continues to push the The Hundreds story further while celebrating the works of our friends and, oftentimes, heroes. 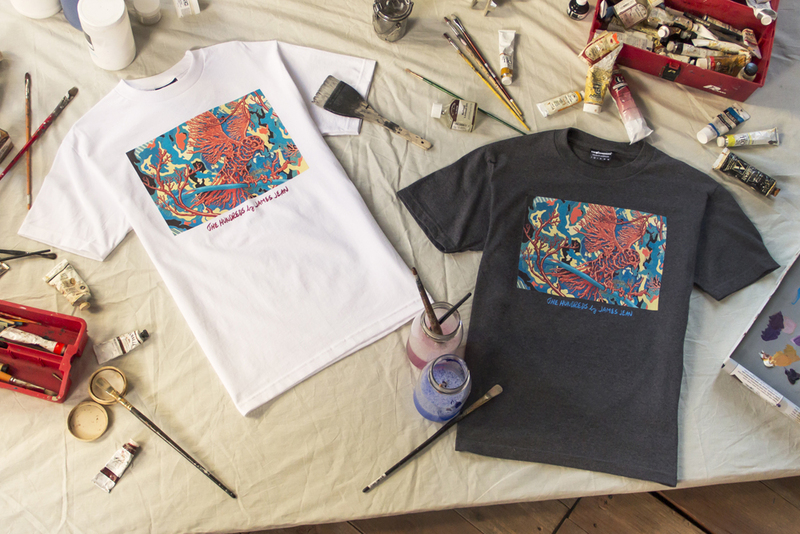 In honor of our upcoming collaboration with Jackson Pollock Studio, we decided to take a trip down memory lane with a closer look at some of our favorite artist collaborations. From a self-taught artist who daydreamed about surfing and turned his vision into pop color waves, to a legendary madman artist from Andy Warhol-era East Village, here are the stories behind these memorable collabs. 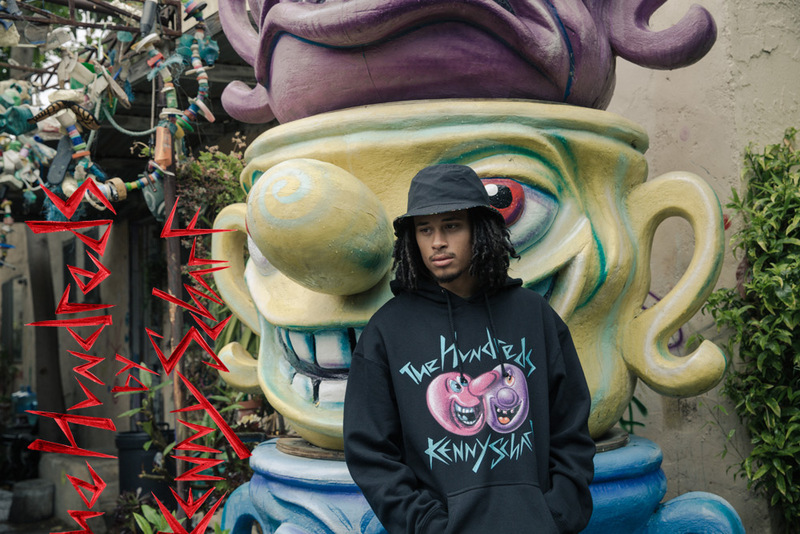 Hailing from the East Village Art movement of the ’80s, painter, muralist, sculptor, and madman Kenny Scharf has been delighting viewers with his effervescent paintings since his days alongside Keith Haring. His zany aesthetic has earned a spot on New York’s fabled graffiti wall in the Bowery, while catching the eyes of industry titans such as Louis Vuitton and Jeremy Scott during his collaboration with adidas Originals. His work has largely been recognized as a derivative of abstract expressionism combined with pop art, yet still entirely new and his own. While being heralded for his cheerful visuals, Kenny’s work has an underlying and nearly subliminal dark and poignant connotation for those willing to look hard enough; a perfect match for The Hundreds. The story behind this collaboration began in the ‘90s and started with a band named Primus. Primus’s album cover art displayed what Bobby described as, “bizarre sculpted fantasies of grotesque, distorted figures,” and “cartoonish and unsettling creatures.” The man responsible for these works? 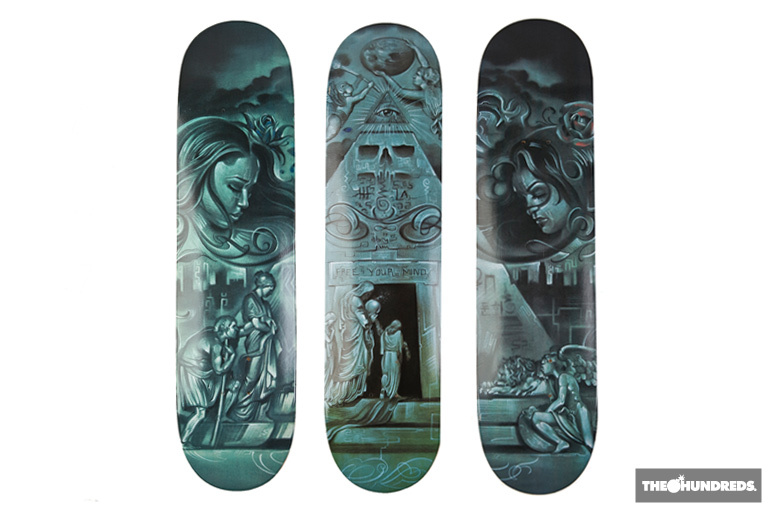 Oakland based artist, Lance “Link” Montoya. But he wasn’t that easy to find. Montoya had a falling out with the band, and took to other occupations, like construction and miscellaneous odd jobs. He wasn’t solely invested in his art and tracking him proved to be a difficult feat (remember, this was 2009. Things just weren’t as fast). Bobby spent months trying to find Montoya, making cold calls through White Pages, sending e-mails to nowhere, and finally, trying his hand at snail mail in hopes of, “[getting] a tug on the other end of the line.” Miraculously enough, the stars aligned, and thus, The Hundreds by Lance Montoya was born. 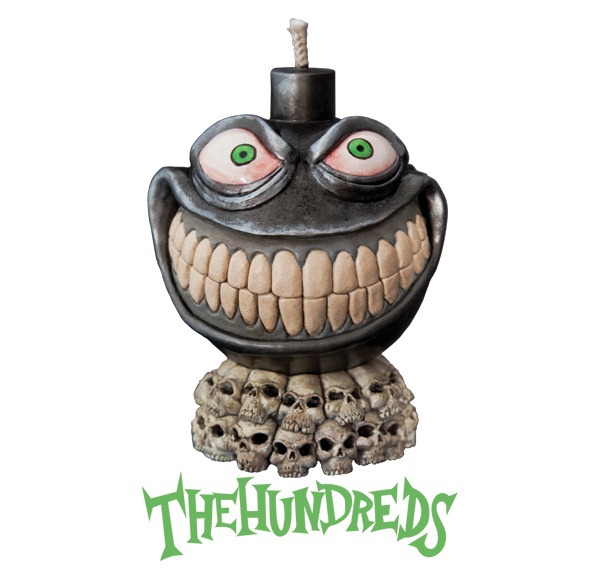 Montoya ended up creating three unique sculptures for The Hundreds, each meant to embody the spirit of the ‘90s while channeling The Hundreds’ aesthetic. James Jean spent the better part of the last fifteen years making a name for himself as one of the world’s best artistic melders of abstract and realist art. His abilities in the realm of artistic creation led to major contracts in fashion with brands Prada and Phillip Lim. Despite his success professionally, James’ life was plagued by personal tragedy. In 2012, at the peak of the pandemonium, he disappeared. “In the dead of night, I left Los Angeles... to escape all the ugliness in my life, taking nothing with me and leaving nothing behind.” Despite retreating and abandoning his prior work, James still had an intrinsic desire to create something beautiful, something meaningful. 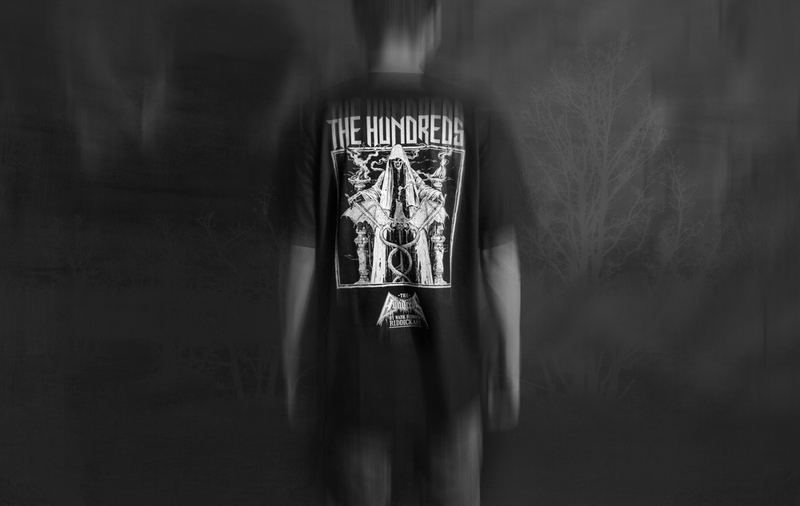 Even from the confines of his faraway world, the internet made the distance a little less vast—and James fired off an email to longtime friend, Bobby Hundreds. “I wanted to somehow get my work back into circulation in an accessible way, and, in a particular, to collaborate with friends and good people. So I hit [Bobby Hundreds] up, knowing the devotion and breadth of [his] audience and appreciating how much [he’s] contributed to the culture in LA,” he said of the collab. 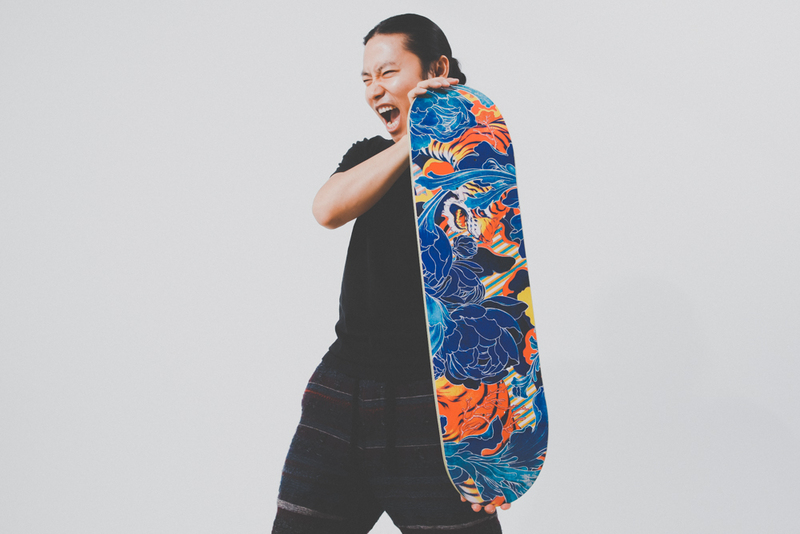 The Hundreds by James Jean collection became his one-foot-out re-entrance into Los Angeles, living alongside The Hundreds through his art while keeping a safe distance from the rubble of his past life. 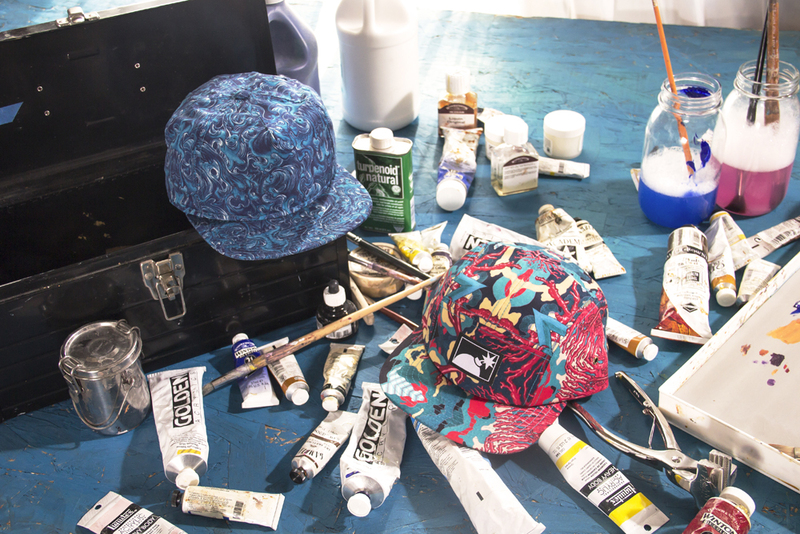 The collection showcased James Jean’s eye-catching “Coral Bird,” “Tiger,” and “Wave” original artwork. 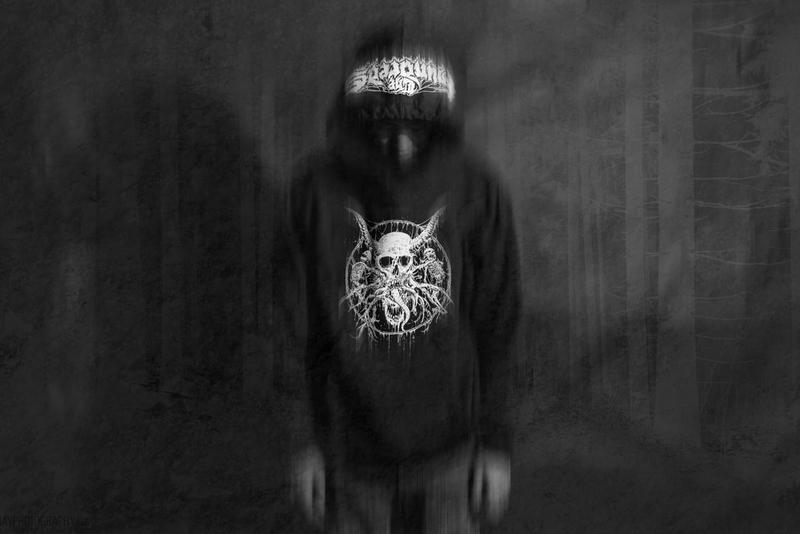 As primary agent for the black metal scene’s design aesthetic, Mark Riddick’s gnarled, visceral lettering has defined the covers and logos of underground and mainstream metal bands like Morbid Angel, Gorguts, and Suffocation. Beyond metal, Riddick’s hand has influenced brands as far ranging as Volvo and Cartoon Network. The celebrated artist has participated in a number of gallery exhibits, and published books like Compendium of Death—600 pages that showcase 20 years of his pioneering contributions to the field. 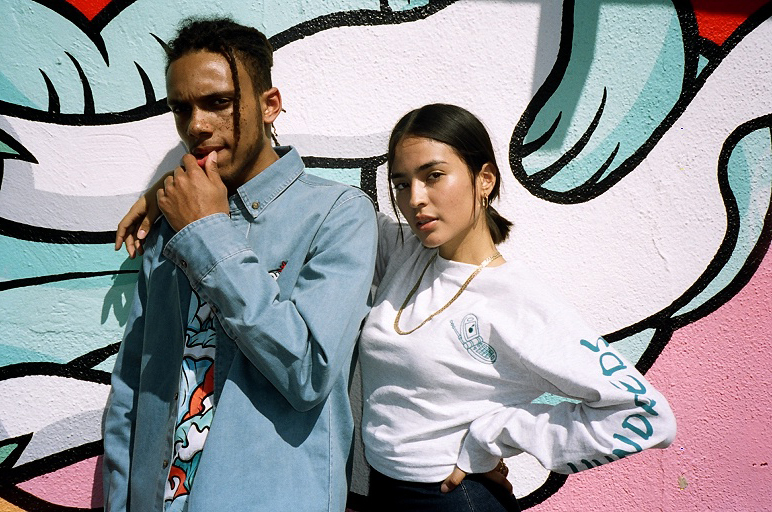 The Hundreds and Hilo, Hawaii-raised artist Aaron Kai have forged a creative union rooted in mutual respect and friendship since 2014. When we met, we interviewed him and learned about how growing up, Kai used art as a form of escape, sketching wave-like shapes in class to reminisce that morning’s surf. Soon after, he painted a massive mural at The Hundreds Homebase, and due to his creative fervor and unique eye for color, his career took off. Today, the Los Angeles-based 27-year-old artist is known around the world for his signature waves and singular take on pop art in bold primary colors. He currently has installations in Paris, 6 countries in Asia, and a handful of states stretching across the US. Jun Cha is a multi-faceted artist. Although he’s known globally for his black and grey tattoo style, he is also a fine artist and oil painter, showing a range of talent through multiple mediums. What we should also mention is that this was the first artist collaboration that The Hundreds ever did—and Jun Cha was only 19 at the time. The Hundreds by Jun Cha was inspired by the people of Los Angeles, specifically depicting women and children surviving amongst a dystopia. “Our project is about the people of this city, and the times we face. The city’s resources exhausted, the rich get fat, while we starve on the streets. Our heroes are the women and children, left to rebuild a burned Los Angeles,that we ourselves have destroyed,” Jun explained. The artwork was done almost entirely with charcoals and highlighted Jun Cha’s signature black and grey style, which Jun attributes to studying with tattoo legends Baby Ray, Mister Cartoon, and Jack Rudy. Jun chose to work with charcoals, stating that, “they are the media I’m most uncomfortable with. I can’t stand the smell, touch, feel and using them takes patience. To be as uncomfortable as I can, allowed me to produce a different quality of work.” Additional artwork for this collaboration included Jun’s original typography and his take on the Adam Bomb logo. 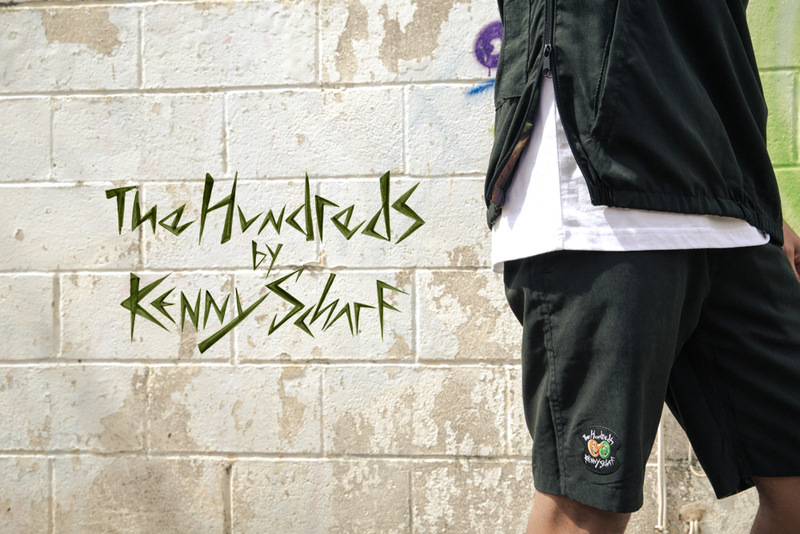 Which The Hundreds collaboration is your favorite? Tell us in the comments below. Notable mentions: The Hundreds by Ron English, The Hundreds by Don Pendleton, The Hundreds by Mark Dean Veca, The Hundreds by Jay Howell, The Hundreds by Todd Bratrud, and The Hundreds by Scott Patt.